The internet expands the bounds of acceptable discourse, so ideas considered out of bounds not long ago now rocket toward widespread acceptability. See: health care, white nationalism and, of course, the flat-earthers. Yet, there’s one political shore that remains stubbornly beyond the horizon. It’s an idea almost nobody in mainstream politics will address, other than to hurl the label as a bloody cudgel. I’m talking about opening up America’s borders to everyone who wants to move there. Imagine not just opposing United States President Donald Trump’s wall, but also opposing the nation’s cruel and expensive immigration and border-security apparatus in its entirety. Imagine radically shifting our stance toward outsiders from one of suspicion to one of warm embrace. Imagine that if you passed a minimal background check, you’d be free to live, work, pay taxes and die in the US. Imagine moving from Nigeria to Nebraska as freely as one might move from Massachusetts to Maine. There’s a witheringly obvious moral, economic, strategic and cultural case for open borders, and we have a political opportunity to push it. As Democrats jockey for the presidency, there’s room for a brave politician to oppose Trump’s racist immigration rhetoric not just by fighting his wall but also by making an affirmative case for the vast expansion of immigration. It would be a change from the stale politics of the modern era, in which both parties agreed on the supposed wisdom of “border security” and assumed that immigrants were to be feared. As an immigrant, this idea confounds me. My family came to the US from our native South Africa in the late 1980s. After jumping through lots of expensive and confusing legal hoops, we became citizens in 2000. Obviously, it was a blessing: In rescuing me from a society in which people of my colour were systematically oppressed, America has given me a chance at liberty. When you see the immigration system up close, you’re confronted with its bottomless unfairness. The system assumes that people born outside America’s borders are less deserving of basic rights than those inside. My native-born American friends did not seem to me to warrant any more dignity than my South African ones; according to this nation’s founding documents, we were all created equal. Yet, by mere accident of geography, some were given freedom, and others were denied it. People worry that immigrants will bring crime, even though stats show immigrants are no more dangerous than natives. People worry they’ll take jobs away from native workers, even though most studies suggests that immigration is a profound benefit to the economy, and there’s little evidence it hurts native workers. And if we worry that they’ll hoover up welfare benefits, we can impose residency requirements for them. But these are all defensive arguments, and when you’re on defence, you’re losing. For opponents of the president’s xenophobic policies, a better plan is to make the affirmative case for a lot more immigrants. Economically and strategically, open borders isn’t just a good plan — it’s the only chance we’ve got. America is an ageing nation with a stagnant population. It has ample land to house lots more people, but it is increasingly short of workers. And on the global stage, US faces two colossi — India and China — which, with their billions, are projected to outstrip American economic hegemony within two decades. How will it ever compete with such giants? 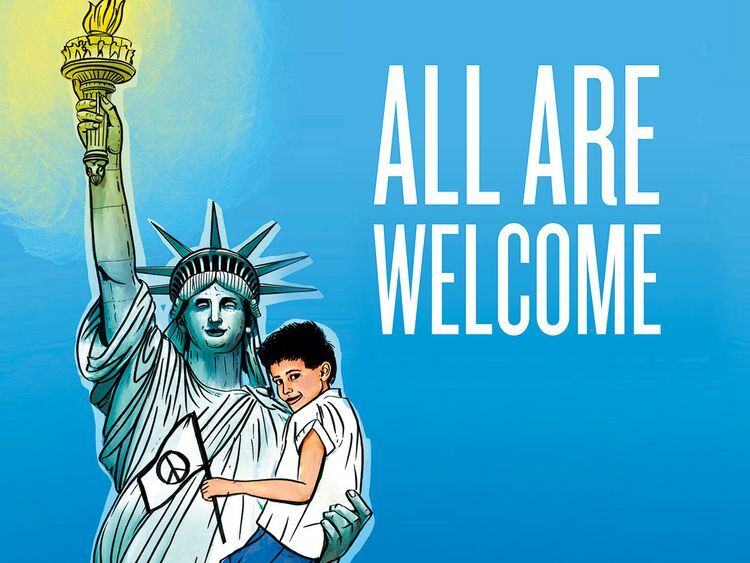 The same way it always has: By inviting the world’s most enthusiastic and creative people — including the people willing to walk here, to risk disease and degradation and death to land in America — to live out their best life under liberty. A new migrant caravan is forming in Honduras, and the US president must be itching for the resulting political fight.